Waiting, Delayed Transport In The Terminal Of The Airport Or Train Station. 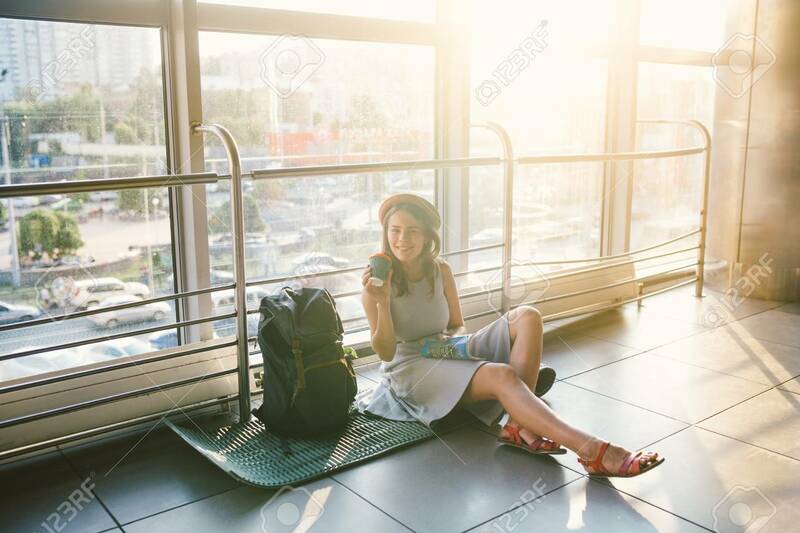 Young Caucasian Woman In Dress And Hat Sits On Tourist Rug With Backpack Near Window To Room And Looks Into Tourist Map.. Lizenzfreie Fotos, Bilder Und Stock Fotografie. Image 115331555.